Male slings are used to treat men with incontinence due to a weak sphincter muscle. No bending, squatting, climbing (e.g. stepping into high vehicles), extreme leg spreads, biking, jogging. Your urologist may prescribe a stool softener, pain medication, and antibiotic for you after your procedure. It is not uncommon to experience some pain at the surgical site controllable with pain medication prescribed by your urologist. Post-operative pain should resolve within 2-4 weeks. If pain persists greater than 4 weeks, please contact your urologist. If you are unable to urinate after your catheter is removed, you may need an indwelling catheter for a short time. It is not uncommon for your urine stream to be slightly decreased after surgery, this will usually resolve. Anti-spasm bladder injections are a safe, simple and effective way to control overactive bladder symptoms. We will assess you and your bladder before any anti-spasm bladder injections. This is to make sure this is the right treatment to try. Assessment will likely include a urodynamic study. In the week before the procedure you should have a urine test. This is to exclude any infection. If you have an infection you need treatment before your injection. You should stop blood thinning medications prior to your procedure – but check with your surgeon first. You will likely need to stop these medications 3-10 days prior, depending on the medication. Sometimes you may need to continue the medication – so always check first! You will be asked to empty your bladder before you leave us. You might have some burning and stinging when you pass urine. There may be a small amount of blood in your urine. These will improve over 24 hours. The anti-spasm bladder injections will start to work over the next few days. You might notice that your urine stream is slower and that you begin to leak less. If this if your first injection, you should have an ultrasound with us in 10-14 days to make sure you are emptying your bladder. We will review you in the clinic about 6-8 weeks following your surgery. Please contact us for an earlier appointment if you have any concerns. The injections will wear off between 6 and 12 months. You may want a new injection. Anti-spasm botox injections are a relatively safe procedure. Most patients will have minimal or no side effects. The main side effect is urinary retention. This is when the injections work too well and you are unable to empty your bladder. 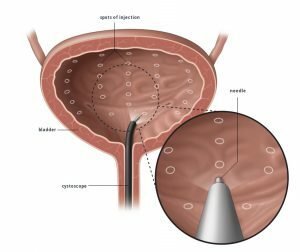 If you cannot empty your bladder at all, or there is a large amount left, we will teach you how to empty your bladder with a catheter. 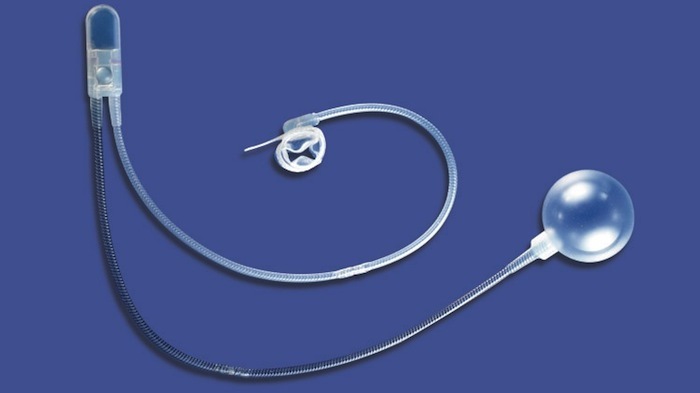 This is called clean intermittent self-catheterisation (CISC). You may need to do CISC until your bladder begins to empty again. Urinary tract infections are common after injections. They may occur even with the antibiotics we give you to take after the injections. They do not always cause symptoms. Haematuria (blood in the urine) is common in the first few days after surgery. Dr Jarvis has specialist international fellowship training in placing, replacing and modifying artificial urinary sphincters. He has worked and trained at the prestigous Memorial Sloane Kettering Cancer Centre (MSKCC) in New York City with world leaders in artificial urinary sphincter placement, such as Dr Jaspreet Sandhu. Dr Jarvis has also published papers in international journals on the most common reason for artificial urinary sphincter placement, post-prostatectomy incontinence. An artificial urinary sphincter is a device that is placed around the outlet of the bladder to replace a weak or absent urinary sphincter. This sphincter is most often damaged after surgery on the prostate, such as a radical prostatectomy. Dr Jarvis also offers the full range of treatments for incontinence after a radical prostatectomy including behavioural treatments, male slings, and complex diversion operations. For more information about an artificial urinary sphincter, speak with our office.